Listings on Newegg, Data-Systems.fi, and Synnex (now taken down) detailed new Coffee Lake Refresh CPUs. Intel has yet to officially announce any new 9th-gen CPUs, but these listings give a good idea of what to expect from the Core i9-9900KF, Core i7-9700KF, Core i5-9600KF, and Core i5-9400F. 00We’ve seen rumors of Intel possibly expanding its 9th-gen CPU line, but the chipmaker has been completely silent on the prospect. Leave it to retailers to spill the beans. Newegg, Data-Systems.fi, and Synnex each posted listings for new 9th-gen Intel CPUs before removing the pages earlier today. 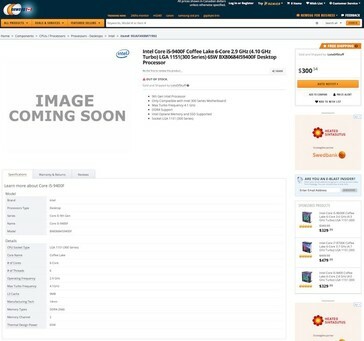 Anandtech was able to secure screenshots of the listings for Intel’s new offerings before they were removed, all but confirming that Intel is planning on expanding the Coffee Lake Refresh line. The new CPUs include the Core i9-9900KF, Core i7-9700KF, Core i5-9600KF, and Core i5-9400F. Both the Core i9 and Core i7 chips were listed as 8-core CPUs, while the Core i5 processors were listed as 6-core chips. The Core i5-9400F is expected to run at 2.9 GHz base / 4.1 GHz boost and have 9 MB of L3 Cache. All the chips that were listed have a 95 W TDP except for the Core i5-9400F, which was listed with a 65 W TDP. 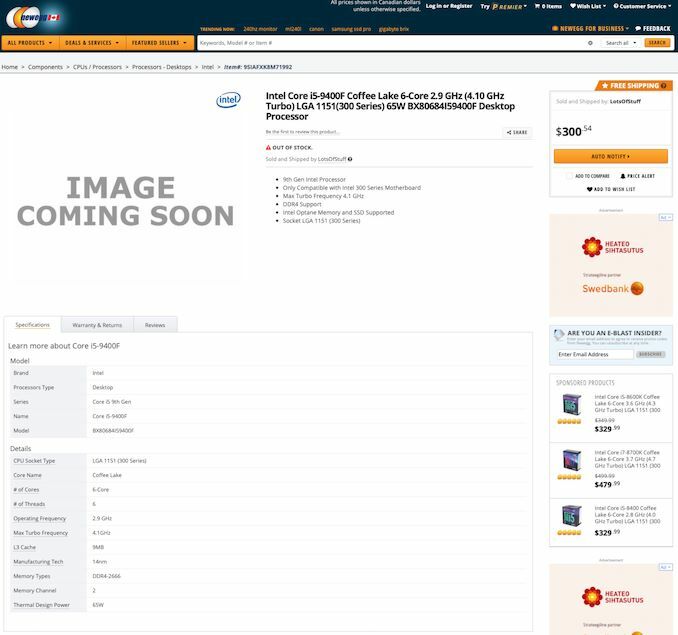 Of course, we won’t know the exact specifications of these CPUs until Intel officially announces them, but considering major retailers listed them on official pages, the listings should be a good indication of what to expect.